Print isn’t dead, but there are some brain-dead media organizations. The next time someone tells you print is dead, drop this month's catalogue-sized Vogue on their foot. Or show them Vanity Fair or the Little Rock Democrat-Gazette or Memphis magazine — or the Memphis Flyer, for that matter. Yes, many daily newspapers are on life-support, but that's as much a symptom of a failing business model — the national newspaper chain — as anything. The "chaining" of American business has worked for grocery stores, Wal-Mart, and fast-food restaurants. For daily newspapers owned by publicly traded companies, not so much. Media corporations run by bean-counters in far-away cities are obligated to make their stockholders and Wall Street happy with designated profit margins. The result is that their local newspaper properties can often seem tone-deaf to what their readers want. Case in point? 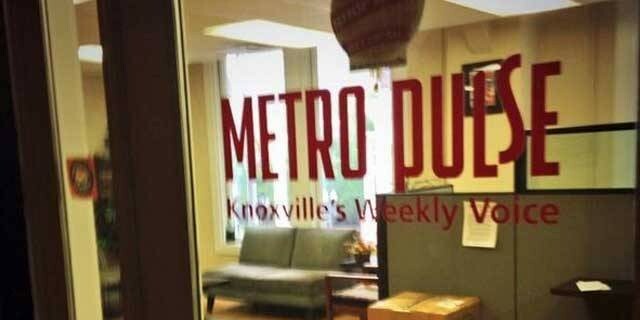 Last week, the Scripps company (which also owns the The Commercial Appeal) shut down the Knoxville Metro Pulse, that city's 23-year-old alternative weekly, which Scripps' daily Knoxville News Sentinel purchased in 2007. News Sentinel President Patrick Birmingham said: "The staff of Metro Pulse has distinguished itself through the years with its provocative and informative content. Like other businesses, though, the News Sentinel must adapt to the changing business environment." That "distinguished" Metro Pulse staff was let go without notice last Wednesday and told they had just published their final edition. They were also warned that if they spoke to the media about the situation, they would lose their severance pay. Talk about irony. Knoxvillians reacted angrily to the news. The Pulse was widely credited as being a driving force behind the revitalization of downtown Knoxville. Knoxvillians saw the weekly as theirs — a venerable, funky publication dedicated to local culture, music, and politics. The Pulse was gay-friendly, edgy, and entertaining, staffed by quirky and provocative writers who didn't fit into the corporate media world. The Pulse was also known for its "Best of Knoxville" issue. Sound familiar? As one former staffer put it: "Knoxville has lost a piece of its soul." But to Scripps, the Pulse was a McDonald's franchise that wasn't meeting corporate profit expectations. So they scrapped the one publication they owned that was read by the young and hip. The News Sentinel publisher said the Pulse's listings would be merged with the daily's Friday entertainment section to create a "new and comprehensive guide to activities in the metro area." One local business owner said, "this will hurt bars and restaurants downtown. It will hurt small clothing stores and coffee shops. Pretty much everything ... that is not a chain." Local newspaper owners don't have to be concerned with Wall Street's profit projections. They just need to pay their bills and their staff and make a little money in the process. It's what's worked for the Flyer for 25 years — and God willing — 25 more. RIP Metro Pulse. You deserved better.